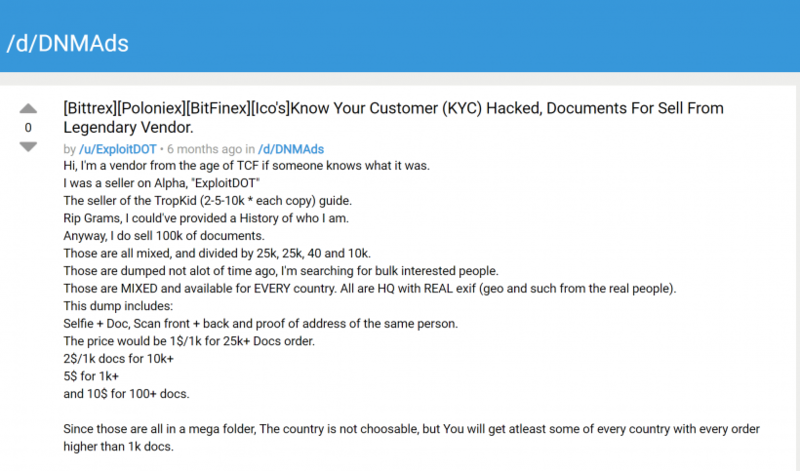 A hacker under the pseudonym ExploitDOT is trying to sell personal data of users of the leading Bitcoin exchanges (Bittrex, Poloniex, Bitfinex and Binance), which they provided as part of the KYC procedure. It is noteworthy that a pack of hundreds of identity cards costs only $ 10, reports CCN. As the magazine notes, ExploitDOT places its offers on the dark-marketplace Dread. 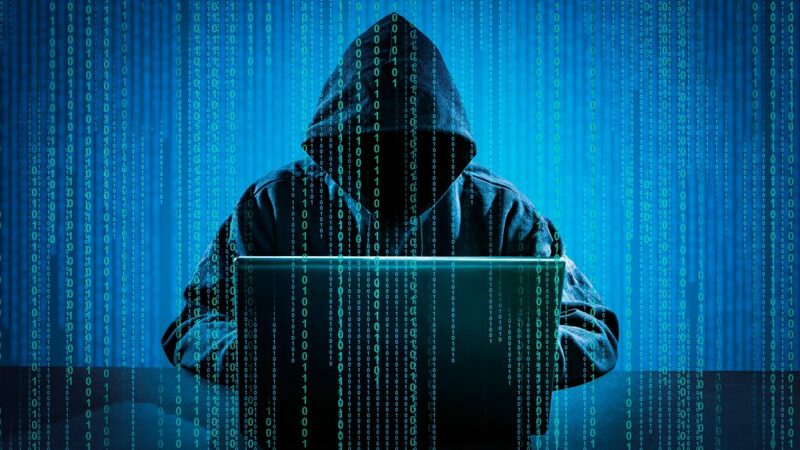 Moreover, an independent cybersecurity researcher who wished to remain anonymous, allegedly managed to get the real data of three users of the Binance exchange, pretending to be a buyer. 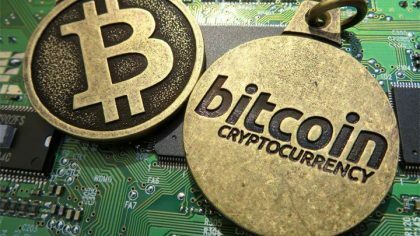 We add that ExploitDOT even offers documents in bulk: up to $ 1 per 1000 copies, if the buyer places an order from 25 thousand. 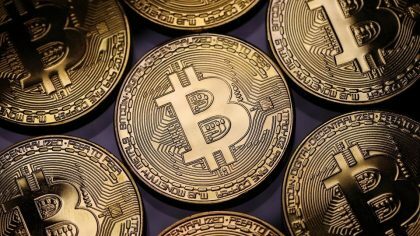 Earlier, Cryptopia, a cryptocurrency exchange, has suspended work, informing users of “substantial losses” due to a security breach.